(a) Later in prophase, the nuclear envelope and nucleolus disappear. (b) A micrograph of a cell in late prophase (polar view) (280x micrograph enlarged to 1,000x). At fertilization (conception), a single cell forms from two, an egg cell and a sperm cell. The fertilized egg cell divides to form two cells; they, in turn, divide into four cells; the four become eight; and so forth. Then, during the third to eighth weeks, the cells specialize, developing distinctive structures and beginning to function in different ways. Some become skin cells, others become bone cells, and still others become nerve cells (fig. 3.44). A newborn has more than 200 types of cells. Cellular differentiation reflects genetic control. Special proteins activate some genes and repress others, controlling the amounts of different biochemicals in the cell, and therefore sculpting its characteristics. In a nerve cell, the genes controlling neurotransmitter synthesis are activated; in a bone cell, these genes are silenced because it does not use neurotransmitters, but genes encoding the protein collagen, a major component of bone, are very active. A differentiated cell can be compared to a library. It contains a complete collection of information, but only some of that information is accessed. 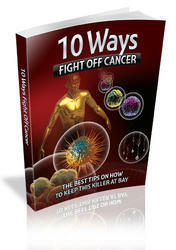 Different cell types interact to form the tissues, organs, and organ systems that make survival of the individual possible. 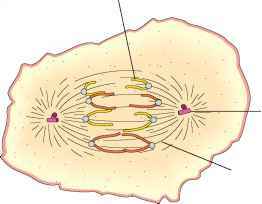 O Why is precise division of nuclear materials during mitosis important? Describe the events that occur during mitosis. 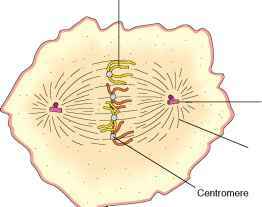 (a) In metaphase, chromosomes line up midway between the centrioles. 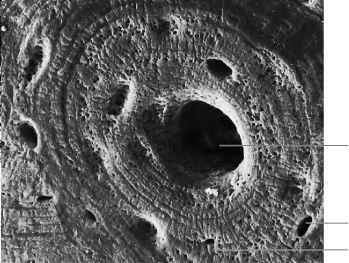 (b) A micrograph of a cell in metaphase (280x micrograph enlarged to 1,000x). Although present, centrioles are not clearly visible at this magnification. (a) In anaphase, centromeres divide, and the spindle fibers that have become attached to them pull the chromatids, now called chromosomes, toward the centrioles. 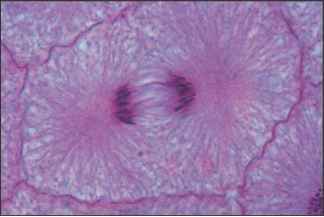 (b) A micrograph of a cell in anaphase (280x micrograph enlarged to 1,100x). Name the process by which some cells become muscle cells and others become nerve cells. How does DNA control differentiation?